This lot features a beautifully matted and framed LeRoy Neiman lithograph of New York Jets legends Joe Namath. 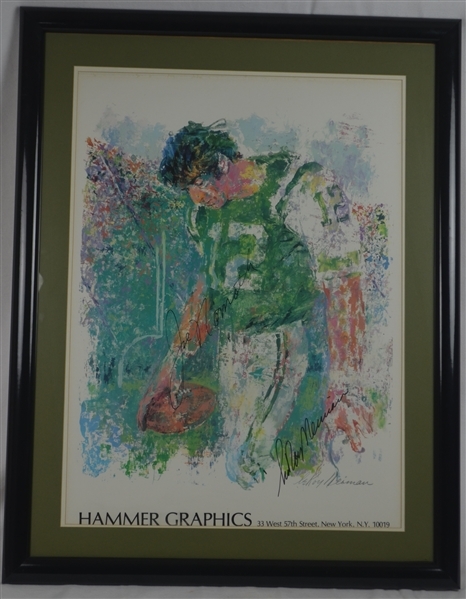 This attractive display has been boldly signed by both Joe Namath and LeRoy Neiman himself in black marker. 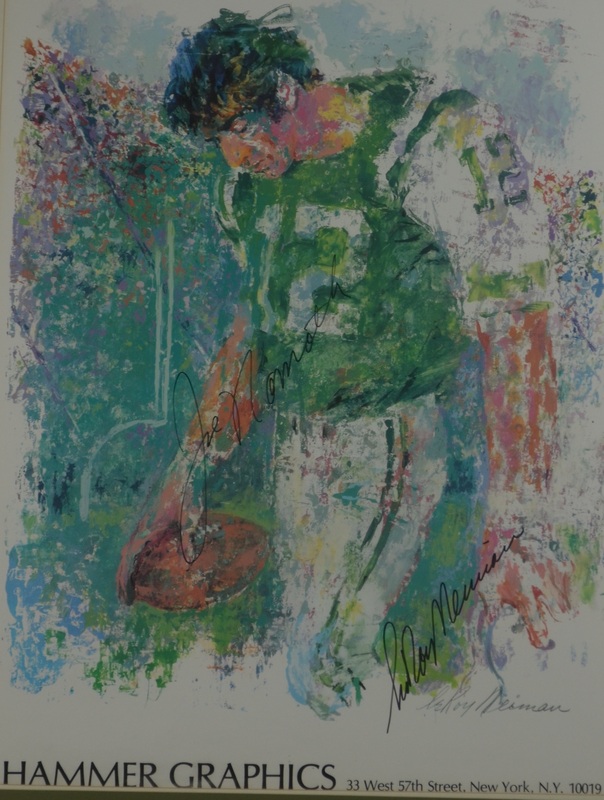 Neiman was a very popular artist known for his brilliantly colored, expressionist paintings and screen prints of athletes, musicians, and sporting events. He passed away in 2012 and his signature has become increasingly popular amongst collectors. 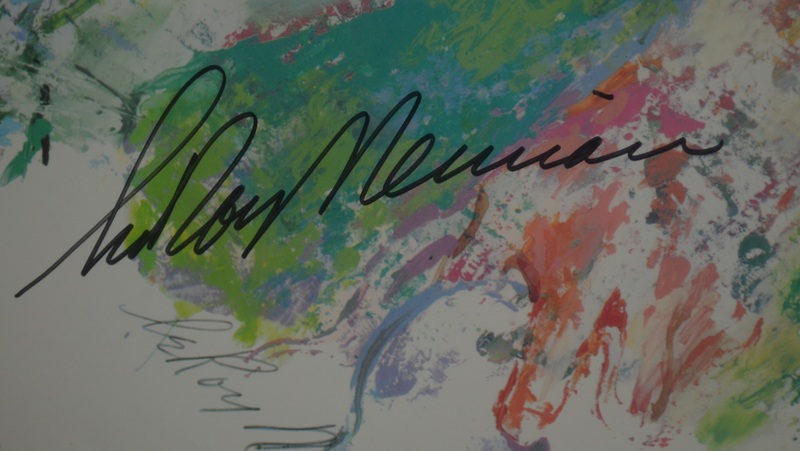 Framed size is 32x42 inches.